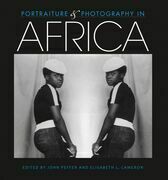 Beautifully illustrated, Portrait Photography in Africa offers new interpretations of the cultural and historical roles of photography in Africa. Twelve leading scholars look at early photographs, important photographers’ studios, the uses of portraiture in the 19th century, and the current passion for portraits in Africa. They review a variety of topics, including what defines a common culture of photography, the social and political implications of changing technologies for portraiture, and the lasting effects of culture on the idea of the person depicted in the photographic image.